Henry Wager Halleck was a prominent Union general during the American Civil War. 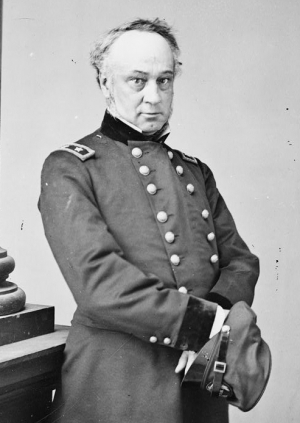 Following a brief but successful stint commanding Union operations in the Western Theater, including the Department of the Ohio, during the early part of the war, Halleck was named General-in-Chief of all United States armies in 1862. When he proved to be more of a bureaucrat than a general, Halleck was replaced by Ulysses S. Grant in 1864. He served as Army Chief of Staff for the remainder of the conflict.